Two days before the Chinese New Year we were planning to have a steamboat dinner, but our youngest son, YS had other plans. He wanted to join his friends to eat out, but we told him we were having abalone that evening and he suggested that we reserved two baby abalones for him which we did. We were wondering what he was going to do with two tiny little abalones and we got a shock of our lives when he showed us what he did. 1. In a small pot, bring 500 ml water to a boil. 2. Add in instant noodles and cook according to package instructions. 3. Transfer noodles to a big bowl. 4. Add in baby abalone and sui-kow. Hi Doris, Gong Xi Fa Cai to you! 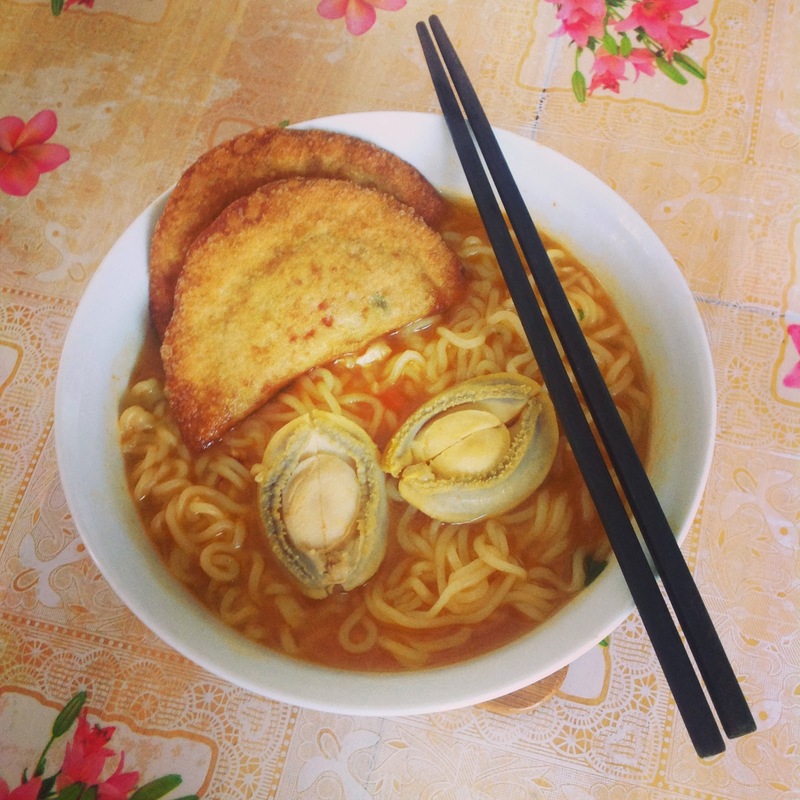 Hehe your son sure knows how to enjoy himself, a luxury bowl of instant noodles. 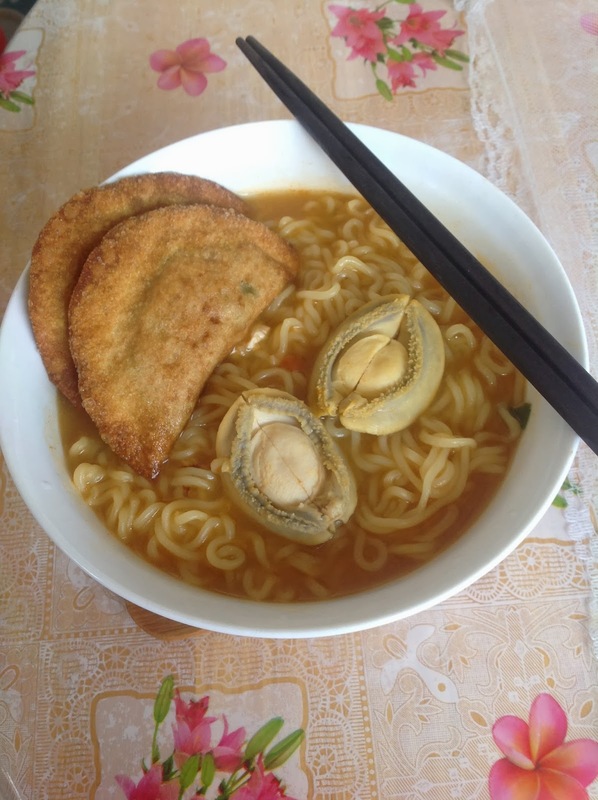 One of my relatives also does the same... his wife told us that he always puts a few abalones in when eating instant noodles! Hi Yen, Gong Xi Fa Cai to you and family!